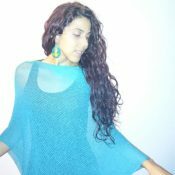 This lovely casual asymmetrical poncho can also be worn as a skirt, over leggings, swimsuit or whatever your fashion style dictates. To be able to knit this pattern you need a standard knitting machine and a ribber, very thin lace yarn. 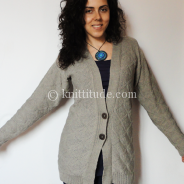 It is knitted sideway, both front and back are identical. When you click the download button, you will be prompted to save the pdf file of the pattern on your device. 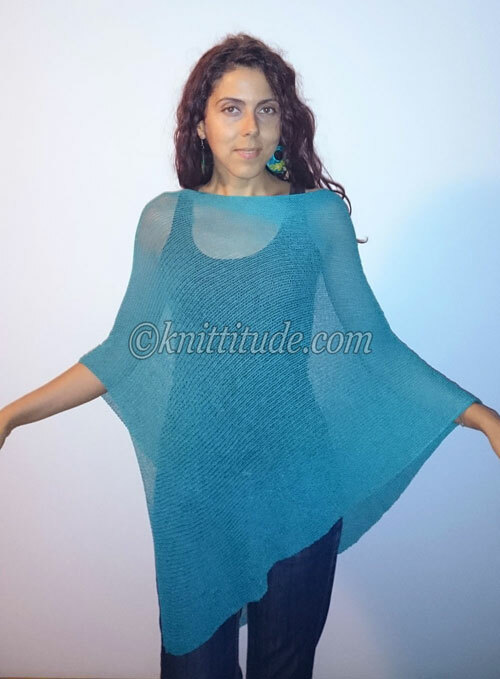 I would like to try making the see-through asymmetrical poncho. The instructions say “When you click the download button, you will be prompted to save the pdf file of the pattern on your device.” I have signed up as requested further down on the page but I have not seen a “download button” on the page. Hello. Go to the pattern’s page and try to “subscribe” again with the email address you are already subscribed to. You will see a popup with a message saying that you are already subscribed, the pattern page will refresh and the DOWNLOAD button will appear. Pls tell me how it goes. Thank you for your interest in my patterns. I have not tried to knit this yet but have read through the pattern. It does not say to knit two pieces then join but it seems that is what you do. Why would you not knit one long piece and only have to sew the 2-3 part since the 4-5 would already be joined? Hello Ruth. In the pattern I say “The front and back parts are identical”, therefore it should be understandable that there are 2 parts (pieces) or so I thought 🙂 . And yes, you are right, it can be done in one long piece 🙂 . I will edit the pattern soon. Thank you.